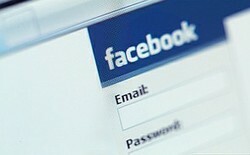 Some job interviewers are asking you for access to personal accounts like Facebook and e-mail. This article discusses why they ask and how to refuse. If you've had many job interviews, you know that some potential employers ask questions that aren't quite what you expected. In most cases, these queries aren't overly intrusive, personal, or unusual; you can answer them to the best of your ability without looking bad. However, some employers are asking for you to give them your passwords—access to social-networking sites like Facebook along with e-mail accounts. This isn't something most people expect during a job interview, so you might not be prepared to give a good answer. There are a few theories why interviewers ask for such personal information. One is that the company doesn't want to hire somebody who's careless with private data. If you're willing to give a stranger full access to your Facebook or e-mail account, you probably aren't going to ifeguard that employer's accounts or secrets. Another idea is that the employer wants to see how you respond. If you lose your temper and start yelling, with or without using obscenities, you no longer look like a good candidate. There's also the possibility that the employer really does want to look at your personal accounts This is an easy way to eliminate potential employees who could be liabilities—for example, a drug user or binge drinker. "I'm sorry, but my account's Terms of Service forbid me from sharing my password with anybody." This is a true statement. Read the site's policy; it will usually instruct you not to share passwords or access with others Doing so can have consequences, including account termination. "I log in only on computers I've personally checked for spyware and viruses. That reduces the risks of hacking, identity theft, and malware infections." Just because the computer your interviewer wants to use—or is asking you to use—is in an office or other, professional setting does not necessarily mean that it's clean. Malicious software, including viruses, can invade all kinds of systems. "This is a lot like asking me for my house keys. No." Employers aren't likely to ask for access to your home, whether you're there during their visit or not. They shouldn't ask to log in to your virtual home, either; both are invasions of privacy. "You don't need access to my online accounts to confirm that I'm a great candidate for this job." In most areas, employers may conduct background checks that include criminal and financial records. They're also free to speak with your references; view anything you post in public, online spaces; and contact your previous schools to confirm your academic background. Remember that your tone and body language say lots of things about you. Before the interview, mentally prepare yourself to answer the request for account access. Practice your friendly voice and open body language: no crossed arms or legs. There's no way to know, ahead of time, whether these responses will eliminate you from the list of potential hires or not. Each employer and interviewer is different. However, showing that you're capable of calmly handling a situation that could turn ugly—and that you aren't careless with important information—usually work in your favor.